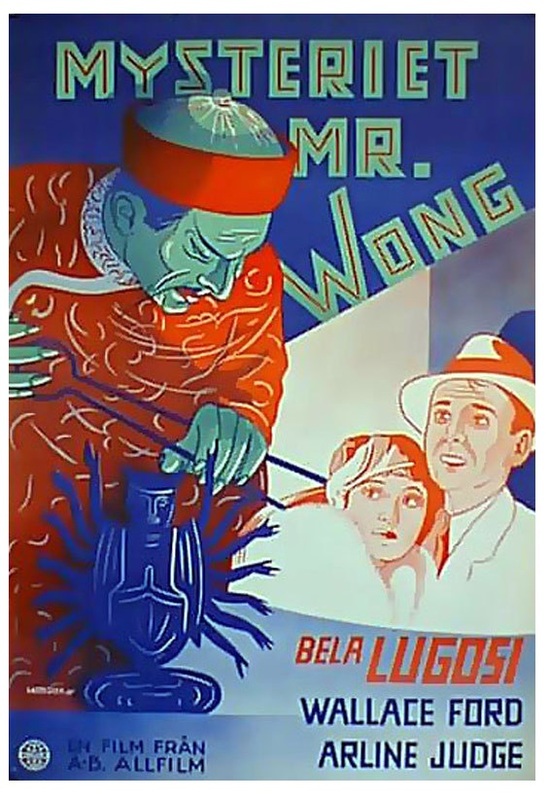 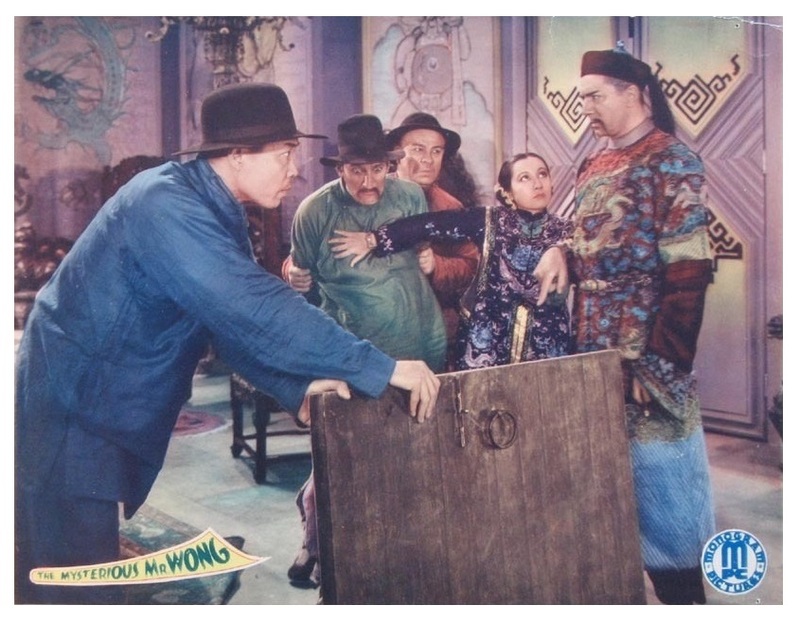 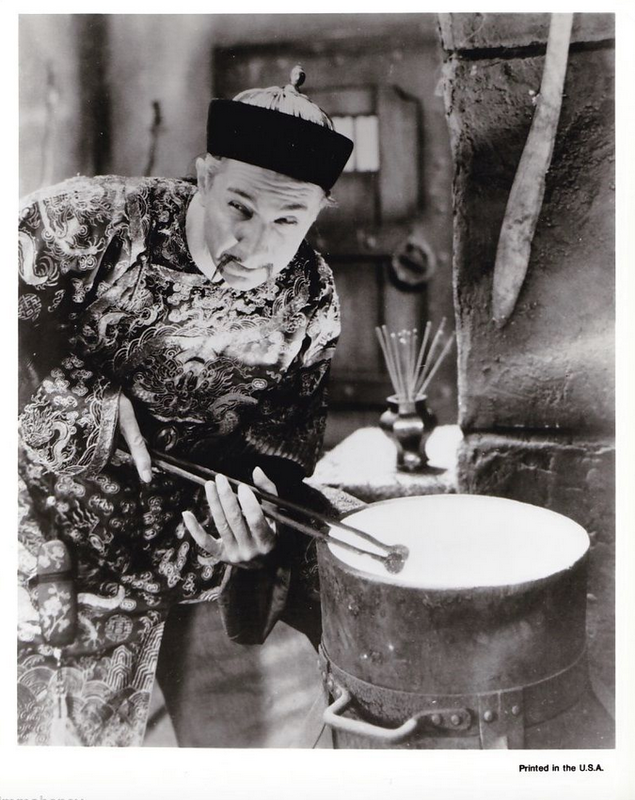 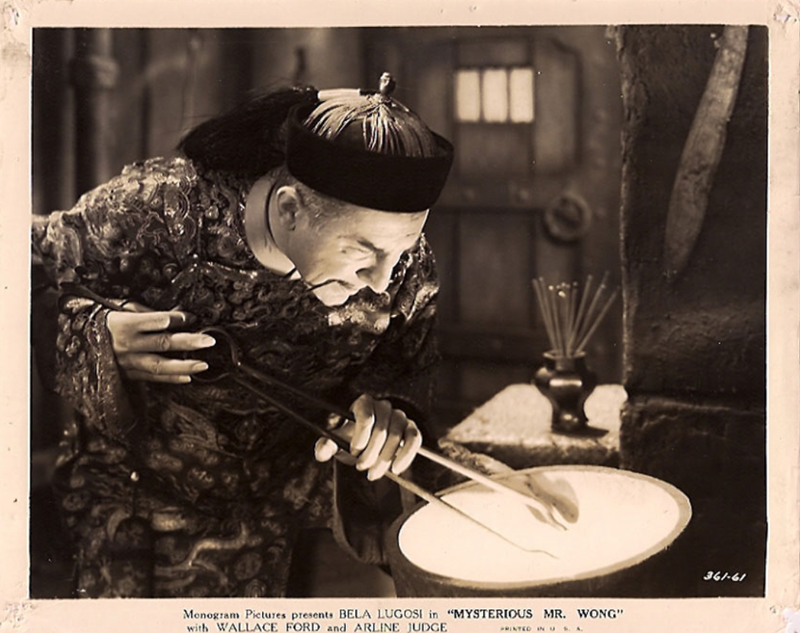 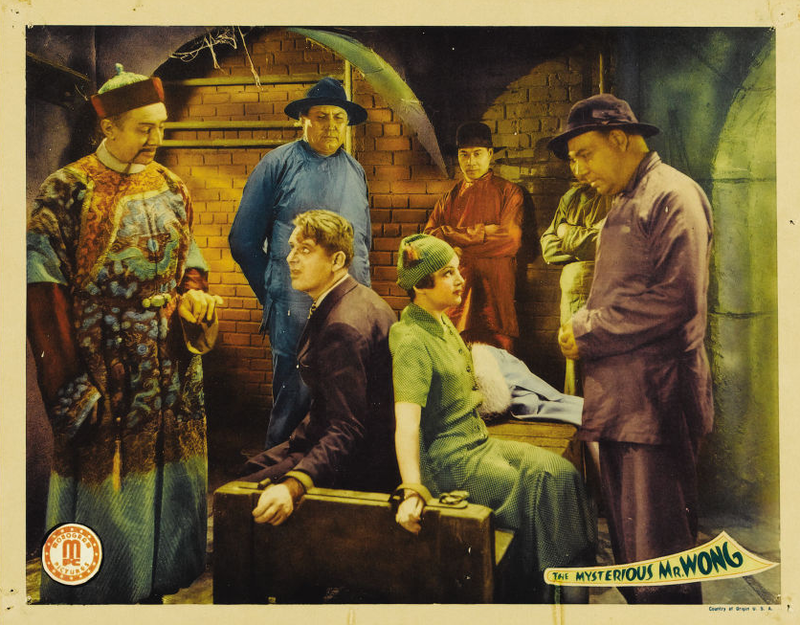 Based on The Twelve Coins of Confucius by Harry Stephen Keeler, the story features Bela Lugosi as the evil Mr. Wong who uses a laundry as cover while searching for the twelve coins, which legend says bestow great power upon the owner. 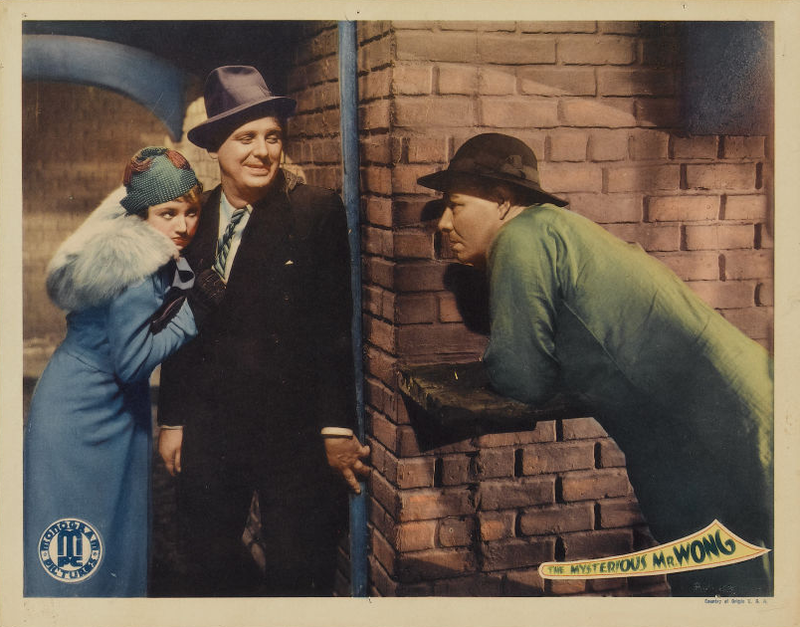 Fortified with a few bars of chocolate and a ham sandwich in the coat pocket, this corner entered the Criterion yesterday determined to do or die in the attempt to sit through both parts of the double bill. 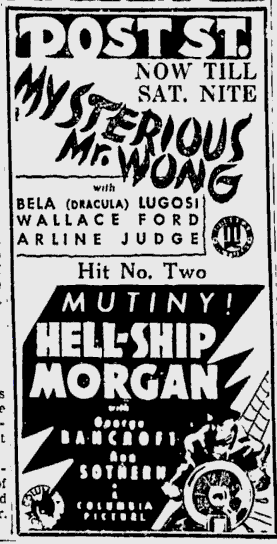 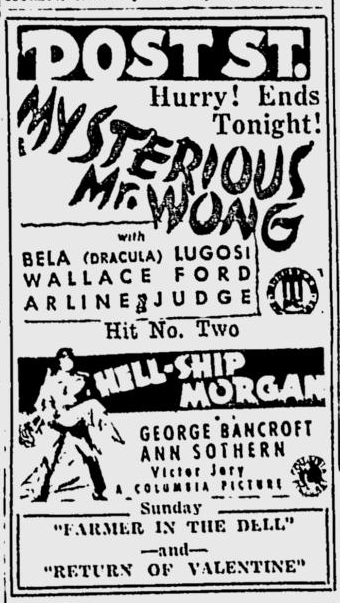 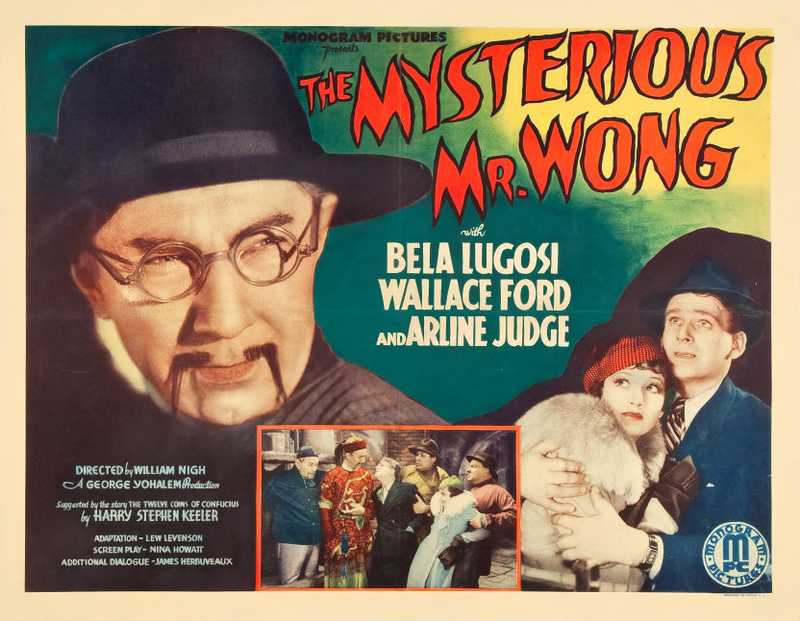 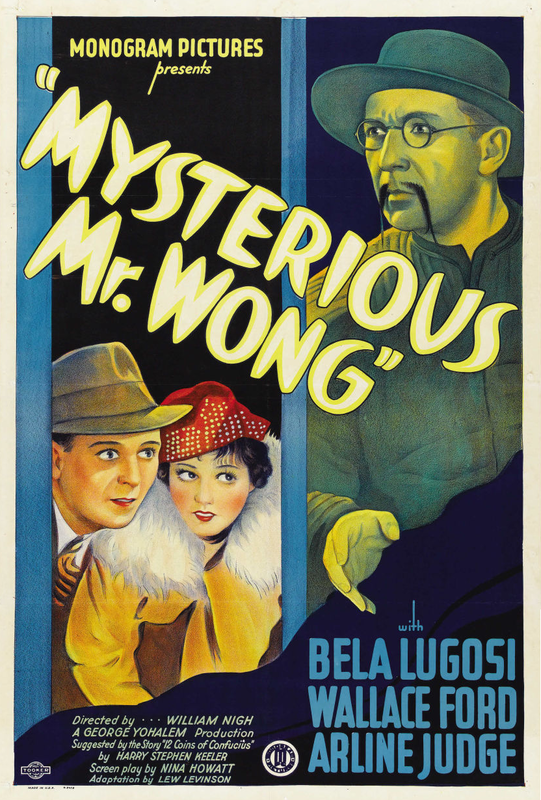 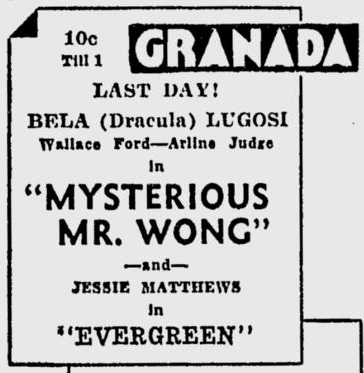 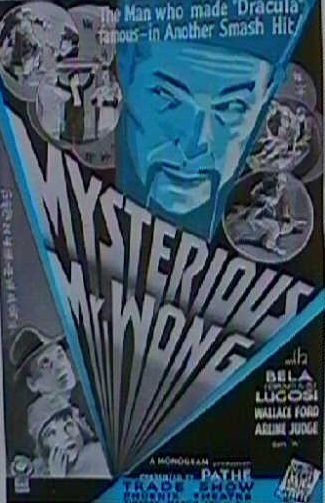 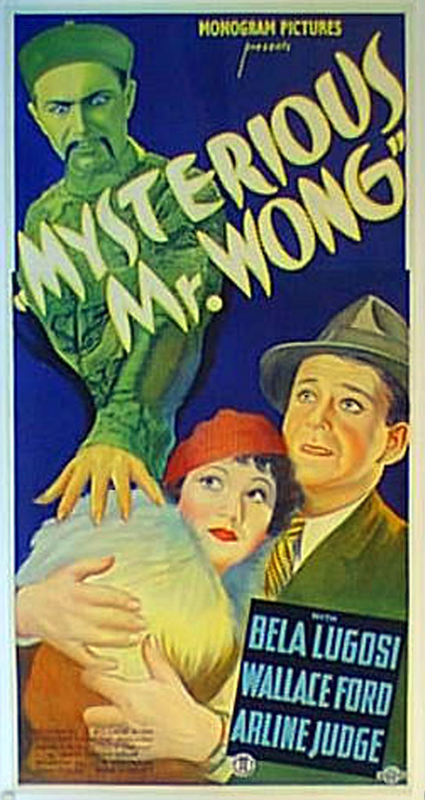 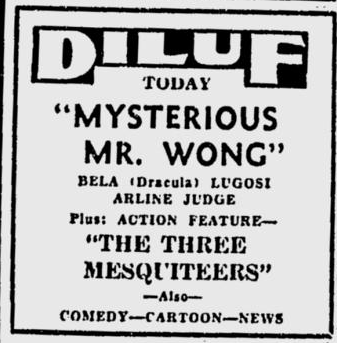 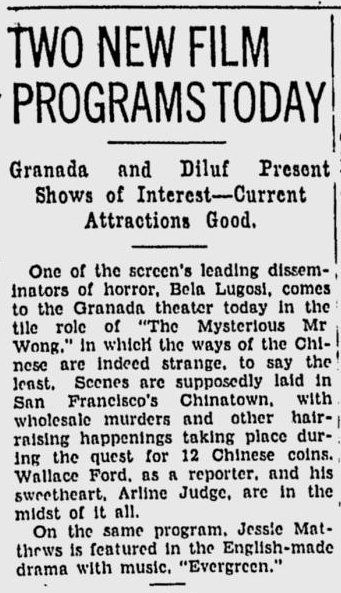 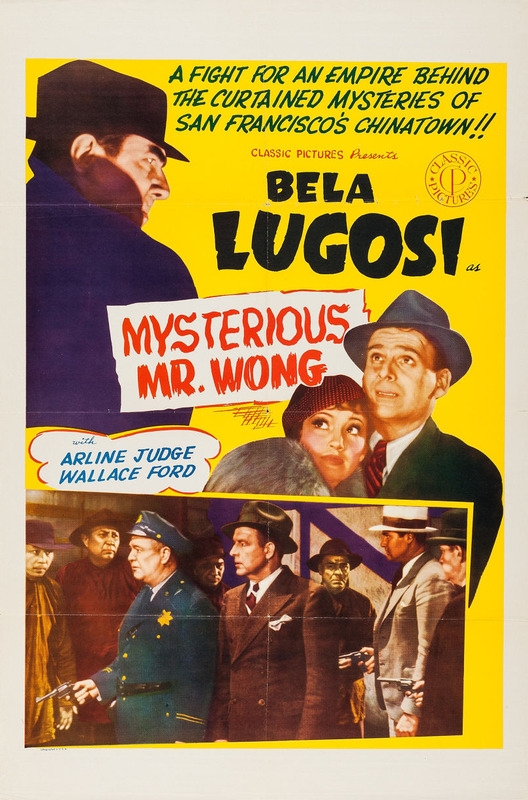 There were, so the marquee blazoned, two first-run pictures to be seen, “The Mysterious Mr. Wong,” with Bela Lugosi, and “The Crimson Trail,” a Western, with Buck Jones.